1. 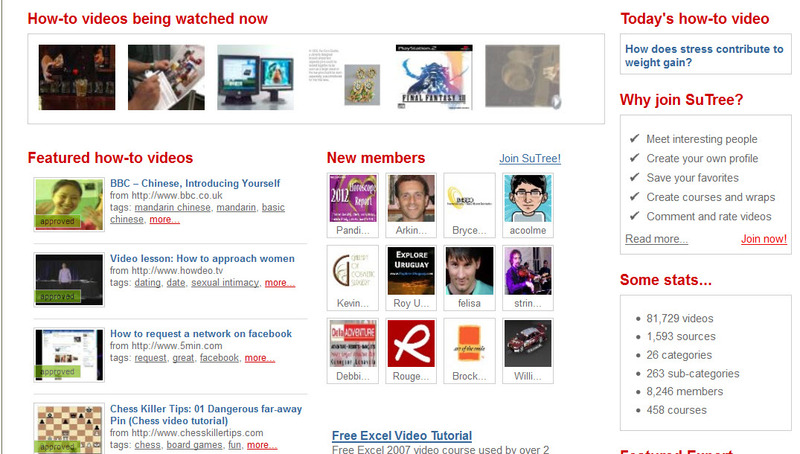 Watch thousands of free video lessons and tutorials from all over the web. Sutra (from Sanskrit) – which literally means a rope or thread that holds things together, and more metaphorically refers to a collection of knowledge in the form of a manual, and Tree – symbolizing the growth of knowledge. How to fix stuff at home, how to solve math problems, how to improve your golf or basketball skills, how to prepare a cheesecake, how to speak Chinese, how to choose your next holiday destination, or anything else you like. Think that you can offer a course in something? Are you a really good social networker? This is your time to shine. Offer a course in social networking. Are you a really great cook? Offer a course in cooking. Create a name for yourself and a fan base. As a wise man once said: “I only know that I don’t know anything”. 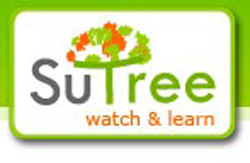 SuTree is your place to learn something. This entry was posted in Articles & Reviews - podcasts, apps, websites, recipes, videos, photography, Articles and reviews about excellent websites and tagged SuTree, sutree how-to videos, SuTree knowledge video, SuTree learning site, Website SuTree knowledge aggregator, Website SuTree knowledge community.